Jerusalem (AFP) - Three leading Christian clerics in the Holy Land appealed Friday for more European governments to recognise a Palestinian state with east Jerusalem as its capital. 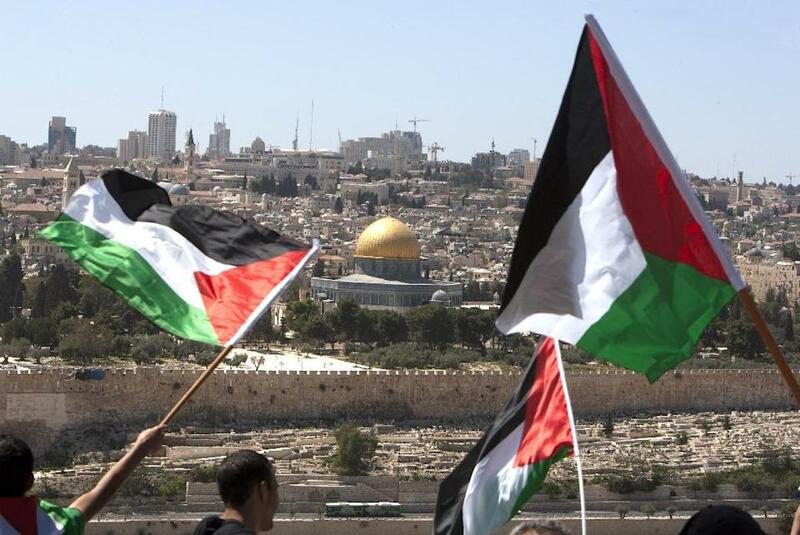 The call from the Catholic, Greek Orthodox and Lutheran prelates -- all of them Palestinian -- came after EU member Sweden last week announced its intention to recognise Palestinian statehood, to the anger of Israel. "From Jerusalem, our occupied capital, we send our urgent message to the whole world and particularly to Europe -- we are yearning for justice and peace," the three churchmen said in an open letter. "Recognising Palestine and defining Israel’s borders is a first step towards that goal." Signing the letter were the former Latin patriarch of Jerusalem, Michel Sabbah, the Greek Orthodox archbishop of Sebastia, Atallah (Theodosios) Hanna, and Lutheran World Federation president Bishop Munib Younan. The current Latin patriarch, Fouad Twal, was not among the signatories. "We are tired of calls for resumptions of negotiations while we can't reach our churches due to a foreign power and our people continue to be humiliated by an undesirable occupation," the letter said. "Europe has a moral, legal and political duty to hold Israel accountable and support Palestinian non-violent initiatives to end the Israeli occupation, including the recognition of the State of Palestine on the 1967 border with east Jerusalem as its capital." Other EU member countries that have recognised a Palestinian state are Bulgaria, Cyprus, the Czech Republic, Hungary, Malta, Poland and Romania. Israel, with the backing of its US ally, insists that Palestinian statehood can only come through negotiation between the two sides. Nine months of US-brokered peace talks broke down in April and prospects for any resumption remain remote.